Home > News > Elyria and Chill is back! Forbidden love, secret rendezvous, and life-long affection are all a part of this holiday. On Earth, we celebrate our loved ones, whether they are aware of our affections or not. It is a time for togetherness, romance, and the everlasting worship of that unforgiving and ultimate affliction of the mind, love. In Elyria, it is no different! Affections toward another exists in all forms for the Tribes of Mann, and what better time of year to celebrate than near the Earthly holiday of Valentine's Day? This year we bring you both a new lore story and an exciting and entirely new set of promotional items for sale for a limited time. Take a gander below and see if anything tickles your fancy. But don't wait too long to decide, these items won't be available for very long! The following promo items will be eligible for purchase starting today, February 11th through Friday, February 22nd at 12pm PST. This pair of golden rings is a symbol of sacred matrimony. Wedded bliss not included. Elyrians symbolize their union through rings of all kinds but this pair of golden bands is exquisitely decorated by To'reshian artisans. Since an Elyrian marriage cosmically links two families such that they can sense and communicate across long distances, most ceremonies revolve around kin rather than the betrothed. It has become common to exchange the rings privately on the wedding night but some choose to include it as part of the ceremony. One doesn't need to be Qindred to be familiar with the legend of these fated lovers. The Romance of Ne'ran and Mydra is a classic tale passed down through the oral tradition before first being put to parchment in the Third Age. The To'resk hold this tragic coupling to be the origin of their tribe, being descendants of To'ran - child of Ne'ran and Mydra and Qin of the wetlands. Read the full account in the To'resk Game Guide section on Religion. Today, the myth is widespread, having been written as an epic poem, a popular opera, and a handful of songs shared by many-a-wandering bard. The pair have come to symbolize romantic love among all the Children of Mann. This statuette depicts the pair in the midst of their budding romance and would look quite stately on a mantel or tabletop. 1x Statuette: "Embrace of the Forbidden Lovers"
Get ready to tell the future...or, at least, claim you can. All the rage among To'resk! Divining and forecasting is an age-old tradition with roots throughout all the Tribes of Mann. All Elyrians know that the celestial landscape influences their world and the Akashic Records holds evidence of their actions. Trying to tap into these wellsprings of information is considered by some to be an art, and by others to be mere chicanery. 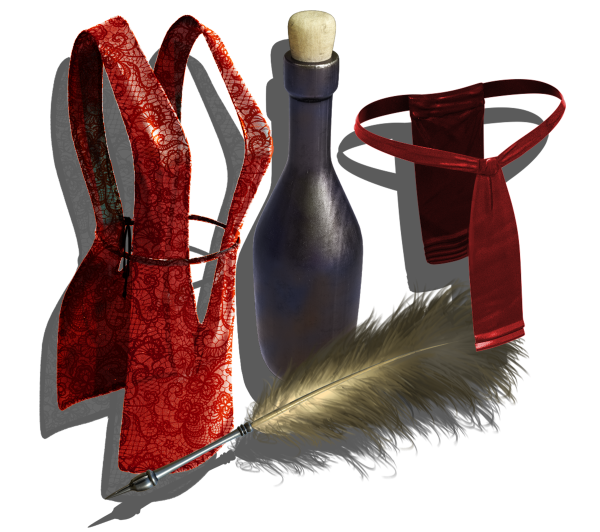 This set provides anyone the basic tools needed to begin a life of conjecture, be it in service to the church as a Qindred Seer, in service to the crown as a Royal Astrologer, or in service to one's community as a humble Fortune Teller. 1x Book "Astrology and Horoscopy: A Primer"
1x Book "The Fortune Telling Art of Sortition"
Flood-prone lowlands require a different touch and different kind of crop. The Wetlands, with seasonal flooding, are primed to produce bountiful crops, but only if they can stand up to the high moisture levels. Cultivated for centuries by To'resk, these crops are the cornerstone of tropical civilization and among the many reasons To'resk rose to prominence in the south. A wetland farmer knows that the tides are fickle but food supply can never be. A popular gift among To'reshian suitors, nothing says love like a bouquet that might run away! The Flower-Cup Porcupine is native to the tundra where it can use its clever camouflage to hide from predators among arctic poppies. This skittish herbivore is hard to find, for obvious reasons, but has shown to do well in captivity, even in warmer climates, as long as it is kept in the shade. Its long, fine quills are desirable for needlework, decoration, and medicine. Luckily, these can be acquired non-lethally when the animal sheds them. 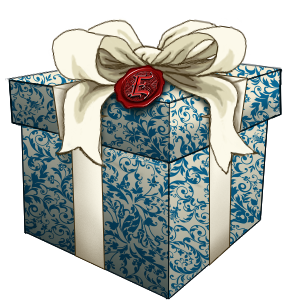 More recently, the creatures have been given as exotic gifts, especially among To'resk, as a symbol of affection or favor. These imports are tamed, but the species has not been domesticated. Get ready for a romantic interlude but mind your drink or you might sign something you oughtn't. Enjoy a bottle of velvety sweet wine as you while away the night with your favorite suitor. This set of goodies includes intimate apparel for two (but no one says you have to wear them for very long). Have a little fun with the fluffy feathers which can be used for signing child contracts or for tickling, too! With all of the affection Soulbound Studios can muster, we hope you and yours has a very loving and heartwarming month. Enjoy the new lore story and this new promotion, as it won't be here forever! Remember, all of these items (except the Gift Cards) will return to the vault on Friday, February 22nd at 12pm PST. Many of you had questions about this batch of new promo items, so we collected up some answers for you! 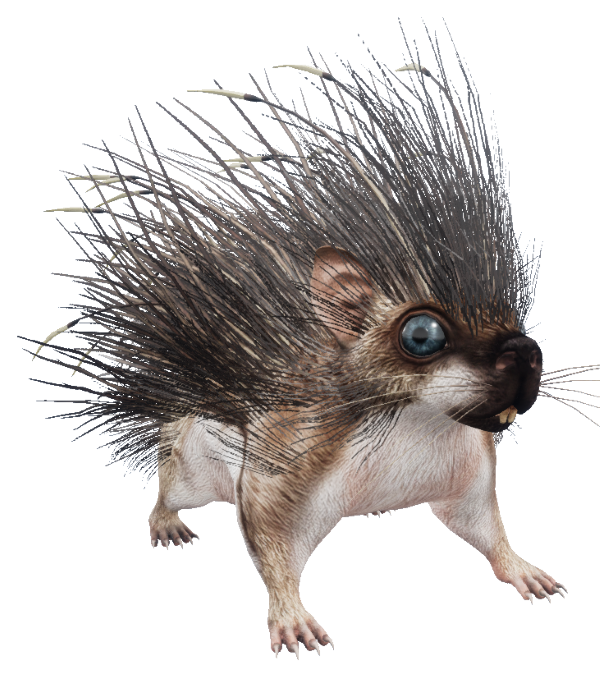 Q1: Can Flower-Cup Porcupines be bred? Q3. 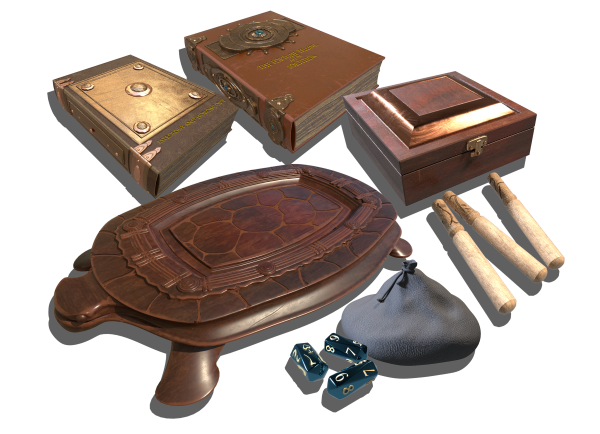 Is the Divining tray in the shape of a Turtle? Q4: Are the wedding bands limited to gender quantity? A4: No, you can redeem the token at a vendor in game and receive any combination of 2 rings, male or female. Q5. Can any gender wear the lingerie? A5: Yes, they aren't gender restricted. Q6: Are there going to be farming kits for each biome? A6: In-game there will be different methods required to farm different types of crops, and some crops can only be grown under conditions you will find in a single biome type naturally. 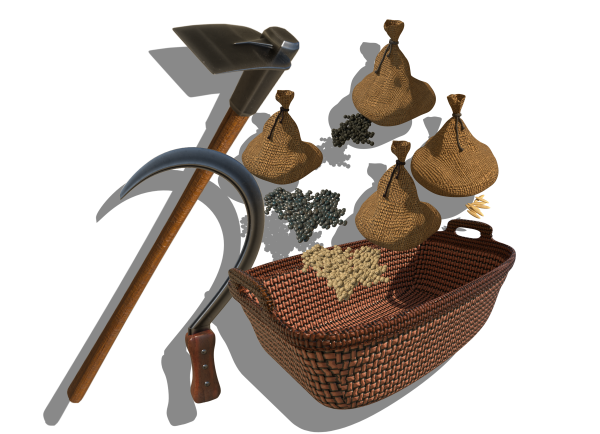 However, we have not decided yet if we will release a biome-specific farming kit for every biome. Q7: Does lowland rice mean it's automatically programmed to only grow in the lowlands? A7: It's not programmed to only grow in the lowlands, but it does need marshy soil that alternates between wet and dry. While it's technically possible for the Wetland Farming Kit to work in other wetlands, and potentially even a rain forest, you need an area where the soil is wet for a significant portion of the year. With the Wetland Farming Kit, you're looking for freshwater rivers, lowlands that get flooded, etc..
Q8: Do the Wedding Bands provide any benefit to family chat? A8: No, the rings don't grant family chat - being a member of a family does. If you have any additional questions, let us know! Q8: Do the Wedding Bands provide family chat? This game has been in development for over 2 years with no end in sight. They have amassed over $5 million before it even got released, so they're doing something right I guess. I'm on the line about getting the Lingerie set, I'd like to see it on an in game model first. Very To'resky stuff. Wish I knew what tribe I'll be. Can I wear both lingerie at the same time? The Moonlight Delights is not gender restricted, so yes. Posted By **Torsep** at 02:00 AM - Tue Feb 12 2019 > > Can I wear both lingerie at the same time? The Moonlight Delights is not gender restricted, so yes. Unless they both take the same equipment slot. Mmmm, sweet fortune telling... now I can start looking into that coming storm. If farming is a part of this promo, why are there no wild oats for me to sow? Well it seems you don't sow them in the... ah, well...the wetlands..
Posted By **HajimeSaito** at 6:10 PM - Tue Feb 12 2019 > > If farming is a part of this promo, why are there no wild oats for me to sow? Well it seems you don't sow them in the... ah, well...the wetlands.. I found it weird that wetlands farming kit was apart of this bundle but I guess the moonlight delights would lead into wetland farming. I am crying, good sir. This made my darn day. Posted By **Deftly** at 10:34 PM - Mon Feb 11 2019 > > I found it weird that wetlands farming kit was apart of this bundle but I guess the moonlight delights would lead into wetland farming. I am crying, good sir. This made my darn day. Posted By **Deftly** at 7:34 PM - Mon Feb 11 2019 > > I found it weird that wetlands farming kit was apart of this bundle but I guess the moonlight delights would lead into wetland farming. Badump-bump'tish! I'm curious whether some of the posters above walk into a florist at this time of year and demand Easter Eggs rather than roses. For my part I nearly spilt my coffee when I saw that clothing and quills set - love it haha. Oh not going to lie ... the moment I saw that statue, my choice became 'How many of these do I need' rather than 'will I buy?' :) Really lovely touch SBS making items that build off your lore. I'm curious whether some of the posters above walk into a florist at this time of year and demand Easter Eggs rather than roses. For my part I nearly spilt my coffee when I saw that clothing and quills set - love it haha. Now I just need the *Pattern* for those ... :) Oh not going to lie ... the moment I saw that statue, my choice became *'How many of these do I need'* rather than *'will I buy? '* :) Really lovely touch SBS making items that build off your lore. can we get domain and settlement selection already. Chill man, it's coming :) And when it has come and gone, we will then jsut be waiting for the next thing, and the next. This all takes time. Given that stepping a pledge package up a level takes $30, I'm rather surprised that there is not a $30 gift certificate to help those giving gifts of a pledge level boost do so easier. The Flower Cup Porcupine is a cool addition. I like how they plan to use the quills for different fields.